I grew up in the era of Saturday morning Kung Fu theater. This means I had my share of nunchuck and kung-fu star injuries. That was until the good politicians of the state of New York decided that enough was enough; too many crotches were in danger so they outlawed nunchucks and threw in the kung fu stars just for good measure. Lately, the talking heads on TV have all joined on the bandwagon of outlawing all types of weapons. 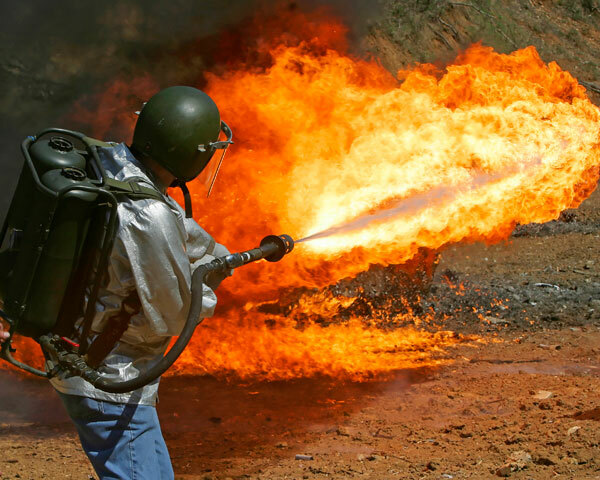 Fortunately, there are still some weapons that have slipped through….. so, go get your flamethrower before it too is outlawed. Here are 10 weapons that are surprisingly still legal (except of course in New York).